SF03U-30 Creative Smooth White Card Blank. 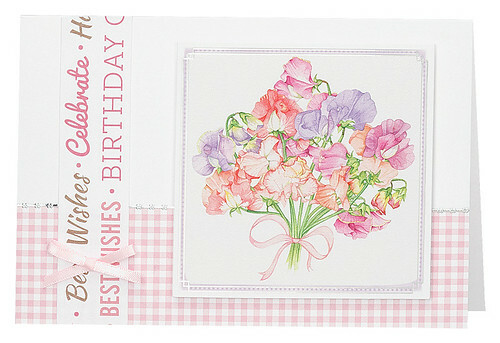 CDT591G Sweet Peas And Corn Poppies Die-Cut Toppers. SR134P Gingham Pink Creative Paper. 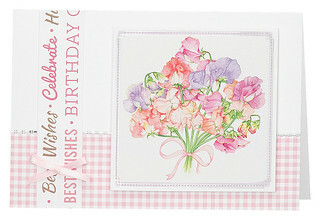 SR383P Birthday Wording Pink And Brown On White Creative Paper. MTR01-117 Pale Pink 3mm Satin Ribbon.